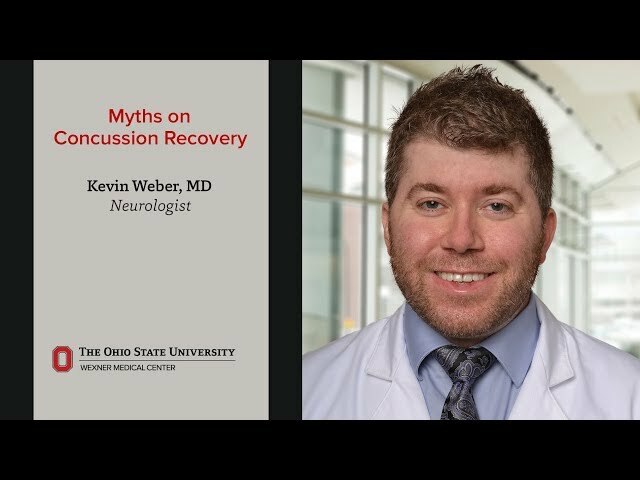 As a neurologist at The Ohio State University Wexner Medical Center, I specialize in treating patients with sports concussions and migraines. I myself get migraines, and have always been interested in treating athletes with neurologic conditions. When I’m seeing patients, I think it’s important to tailor evidence-based treatments that are specific to each person’s individual needs, goals and expectations. I love working at Ohio State – I’m a Buckeye through and through. I’ve always felt that my mentors were behind me 100% and genuinely interested in helping me become a great physician. I work with an amazing team of physicians, nurses and therapists. When I’m not working, I enjoy spending my free time reading, keeping up on the news, traveling and watching the Buckeyes! I also love tasting new craft beers and visiting sports stadiums I’ve never been to. He was very thorough; very interested; seemed caring; very communicative. Dr Weber called another provider during my visit for follow-up - I saw that provider the next day! Very thorough and caring. Started treatment immediately. Outstanding - wanted to help with my pain. Always very nice and a very good doctor. Dr. Webber was very nice and took his time with me. I am extremely impressed and comfortable with Dr. Kevin Weber. I trust her judgment completely. He always listens and I feel IS concerned with how I'm doing. And truly understands. As of 12/20/2018, Dr. Weber has reported no relationships with companies or entities.